The world’s second-largest exchange by trading volume now offers WAVES trading against BTC, ETH, USDT and OKB. The Waves Platform is thrilled to announce its token will be listed on OKEX, one of the world’s foremost cryptocurrency exchanges. WAVES will join the extensive list of coins and tokens offered by the platform, with four trading pairs: Bitcoin, Ether, Tether and OKB, the exchange’s global utility and loyalty token. Founded in 2014, OKEX has received investments from VenturesLab (co-founded by Tim Draper), Ceyuan Ventures, Giant Network Group, Longling Capital (founded by the Chairman of Meitu), Qianhe Capital Management, and eLong Inc. This solid foundation has drawn experts in technology and business from the world’s top organisations, allowing OKEX to offer safe, stable and reliable trading services through internet and mobile solutions. With the recent Waves Node release, four exciting features/improvements are up for voting. TLDR; we are voting YES on all four of them. Fair PoS is a necessary change in order to further decentralize the network and create a fair (=proportional) block producer selection process. Data Transaction is a great, useful feature and enables new use cases for the Waves network. Fee Sponsorship fixes the token fee feature, which was not usable after the upgrade to Waves-NG. Since its inception, Waves used the same pure Proof-of-Stake algorithm as Nxt. Ideally, the chance to forge the next block is proportional to the amount of Waves (held or leased) on the corresponding node address and the total of all Waves involved in the forging process at that particular point in time. Unfortunately, this has not been entirely true on the Waves blockchain as the Nxt algorithm is skewed towards favoring larger balances as you can see here http://dev.pywaves.org/generators-weekly/ .We at WavesGo got a performance ratio of 1.135 during the last month, in other words creating 13,5 % more blocks than we should. This leads to us receiving more fees and, subsequently, a higher reward for our lessors. Up to today, nodes had to decide which tokens they want to accept as fees. This led to a lot of open questions, long confirmation times as well as insufficient token fees compared to transactions paid in WAVES. While we do see the advantages of utilizing tokens as fees, the current approach got further broken due to the activation of Waves-NG. In Waves-NG, the fees get split 40/60 (creator block X/creator block X+1), which leads miners to receive tokens they have never chosen to accept. Last but not least, we have to be conscious of the fact that anything written into the blockchain is going to stay there forever; if this data storage is too cheap, we will see massive blockchain bloat. With the Fee Sponsorship feature, we can now tackle these issues by still allowing token as fees but miners receiving regular compensation in Waves. Sponsoring transactions will be more expensive than the current model but still ensures business models built around a token ecosystem are feasible. I issue my own asset — Super Coin. I want others to use super coin as a fee. I create a SponsoredFeeAssetTransaction (asset=”Super Coin’s id”, sponsored=true, transactionFee=0.1). Then I put 100 waves to my account. Now anyone can create Transfer transaction with 0.1 super coin as a fee. Someone creates transaction with fee = 0.1 super coin, as a result I get 0.1 super coin on my account, and miners get 0.001 waves from my account. Since I have 100 waves, users can do 100,000 transaction until the deposit will be fully transferred to miners, at this moment I will have 10,000 super coins from fees. As soon as the deposit is gone, no new transactions with super coin fees can be made. Nodes (including ourselves) have included unreasonably low-cost transactions for quite some time in order to help growing projects and decreasing barriers for startups. While this feature might be controversial and will lead to some nodes not being able to distribute their rewards every week, we think it is a necessary fix to the Waves ecosystem and its monetary incentives, with a better focus on WAVES itself. With the upcoming release of first elements of non-Turing complete smart contracts on Waves, the network also needs a better fit for including data on the blockchain. While it’s possible to store arbitrary data on almost any blockchain, only a few are designed for this specific need. In order to serve the needs of businesses, a new transaction type is needed. Data Transactions enable use cases like certifying authorship or origin, but more prominently will make it possible to provide data for smart contracts. The agent publishing this data to the blockchain is called oracle; imagine it as a one-way bridge writing data from an external source into the blockchain. A nice-to-have feature to tackle the current scam/spam issue. Until now, only the asset issuer (address which created the token) was able to burn a token. With this feature, any address can burn tokens which it holds. The Waves network is constantly growing and evolving at a rapid pace. We are looking forward to seeing further development and hopefully the first smart contracts applications in the wild by the end of summer. 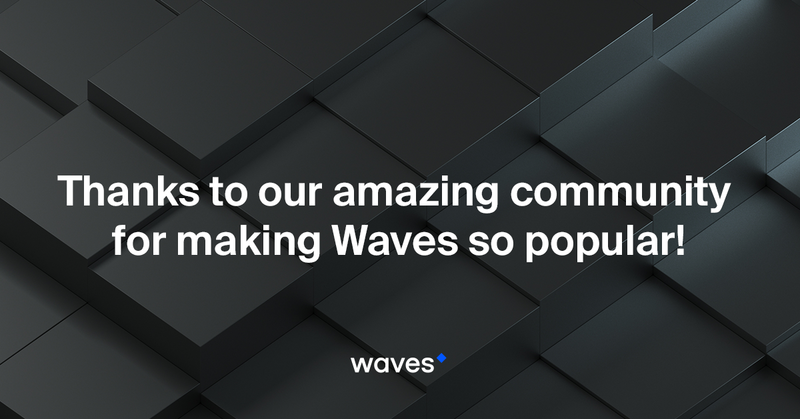 The Waves Platform is at the forefront of making blockchain accessible to the masses and we are proud to be a part of this community. If you have any questions/feedback/suggestions, just shoot us a message. The third largest cryptocurrency exchange in the world will now offer trading WAVES in 2 pairs, against BTC and ETH. 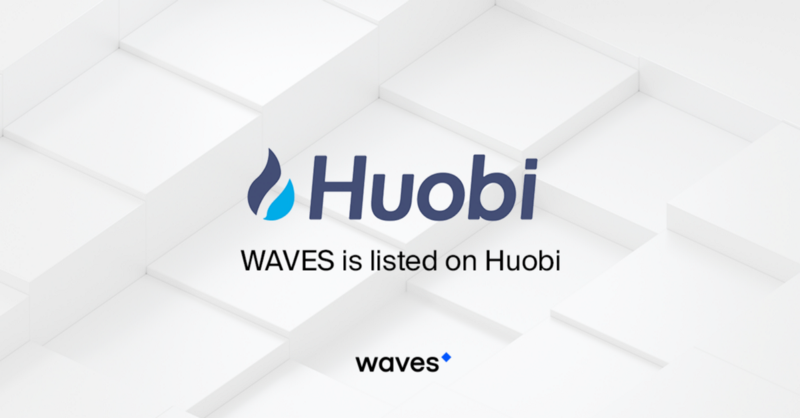 The Waves team is pleased to announce another major exchange partnership — trading on Huobi, the top three exchange. 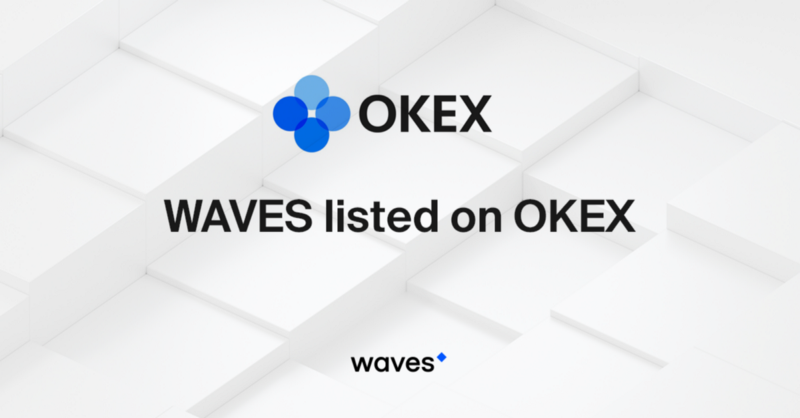 The new listing follows the previous week announcement of WAVES being added to OKEX, now trading against BTC, ETH, USDT and OKB. Huobi was founded in 2013 and rapidly grew to become one of the most popular cryptocurrency trading services, with offices in Singapore, the US, Japan, Korea and Hong Kong, and a trading community that spans 130 countries. Daily trading volumes now approach half a billion dollars, across BTC, USDT, ETH, and HT pairs. Margin and OTC trading are available for certain pairs. This is a bug fix release. We have fixed various API bugs and validation issues. This is mandatory release. Miners have to update to this release before the activation of the Data Transaction feature. We have made some changes to the storage's structure. Please, rebuild your node's storage. Use lates binary blockchain file to import or resync the node from the network. The Waves Platform makes it really, really easy to create and manage digital tokens, facilitating a huge range of new business models and use cases. 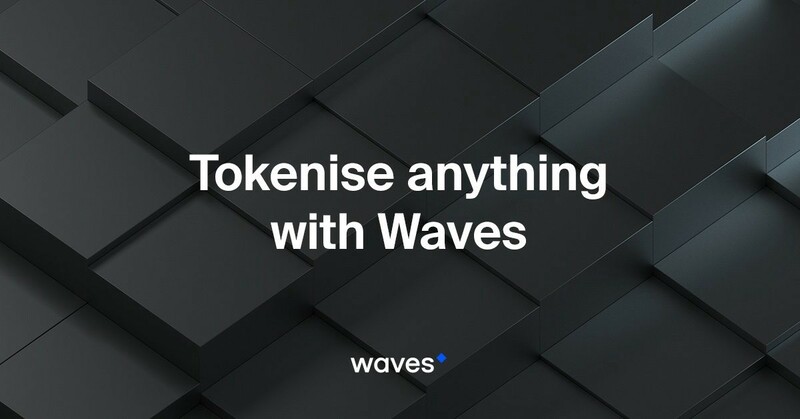 It is possible to tokenise just about anything, if you go about it the right way — as just some of the examples on the Waves blockchain demonstrate! Soccer Token. Waves team are airdropping 150,000 SOCCER tokens to the community. At the end of the World Cup, these tokens will be bought back — at a price depending on the initial odds of becoming the winning team. In other words, if a team with only an outside chance makes it, holders will benefit big time! MutCoin. Hand-in-hand with SOCCER goes MutCoin (named after former Minister of Sport Vitaly Mutko), another initiative by Waves. This one is focused on the performance of the Russian national team, with buyback prices depending on how well they do — if they win, the prize fund will run to millions of dollars! 50,000 tokens are being airdropped to the community, with another 50,000 reserved for the Russian team and their coaches. World Cup tokens. A different take on tokenising sport: this time, a token is issued for each team and tokens are sold at market prices. With 96% of the revenues airdropped to holders of the winning team’s token at the end of the tournament, tokens will change hands at a price that reflects their current success — making this a great option for crypto traders and soccer fans. BOLTT. A health and fitness app, supported by a collection of wearable tech. The Boltt app is the world’s first mobile AI trainer, converting data into actionable feedback — all of which is gamified by the BOLTT token. Be Fit. Earn cash from sweat with BEFIT crypto, a reward system that allows you to pay for training sessions and equipment with digital cash that you earn by using them. Staps. This token also rewards physical activity, enabling users to ‘mine’ Staps just by walking. The coin is supported by an ecosystem of businesses and services, increasing demand and giving the token real-world benefit. Incent. Using the blockchain enables a totally different approach to the rewards sector. Incent are issued at the point of purchase by the customer, but these are points that have real monetary value, and that you can hold, spend, transfer and trade openly — unlike the classic IOU or ‘fiat’ model of traditional loyalty points. APIS. This is a great use case for tokens. A group of bee-keeping experts based in Romania have crowdfunded several colonies of bees, with a focus on ecology and maintaining bee populations, which are vital for the health of the environment. Token holders can customise their hives, and will receive a proportion of the honey produced every month, as well as other benefits. SweCoin. This is a ‘real economy’ use case for Waves. SweCoin is a utility token that is backed by Sorgin, a universal plant growth promoter. One SweCoin is equal to the price of 1 kg Sorgin — something that is being driven higher by increased demand for environmentally-friendly agrochemicals. These are just some of the examples of tokens on Waves. There are many other ways to go about tokenising a business model or other idea, from competitions and loyalty to digital identity and online services. 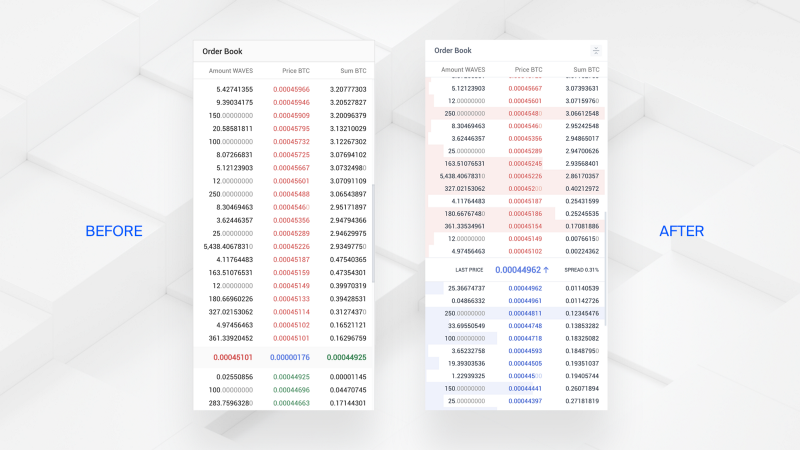 Huge news: Waves’ decentralised exchange has undergone a major redesign and UI update, making it more user-friendly and professional-looking than ever before! Decentralised and anonymous. No middle man or difficult registration procedures. Funds are stored safely in your wallet, not on the exchange. Real liquidity. >$6,310,000 average 24h volume. Insanely low fees. <$0.01 (0.003 WAVES) per order. Fast and secure. Matcher nodes execute trades in near-real time, whilst the Waves-NG protocol ensures that settlement occurs on the blockchain within seconds — giving speeds similar to centralised exchanges. Unlimited withdrawal limits for crypto. Issue a token and see it on DEX straight away. All tokens launched within the Waves Platform appear on DEX immediately after issuance and can be traded instantly. Trading of any pairs. Easy and flexible search for a given pair, from hundreds of thousands of possibilities. Multiple fiat and crypto gateways. BTC, BCH, ETH, WAVES, ZEC, DASH, LTC and XMR; EUR, USD and TRY. Available for any device. Use DEX within your browser, or in standalone or mobile versions. Now, let’s take a closer look at the new DEX UI. All tokens issued on the Waves Platform appear on DEX right after they are created. You can trade them against any of the other 16,000 tokens issued so far, in any pair combination. Trading history. Detailed trading history. My balance. Lists of all balances and tokens the user has in their possession. We hope you’ll agree that the most recent set of updates brings the Waves DEX into line with the user experiences of the most popular crypto exchanges, and in fact offers even more sophisticated functionality than some of the top trading platforms. Liquidity is increasing all the time, and we expect to see many, many more traders take the step to using a decentralised platform that is free from hacks and downtime. Come and join them! 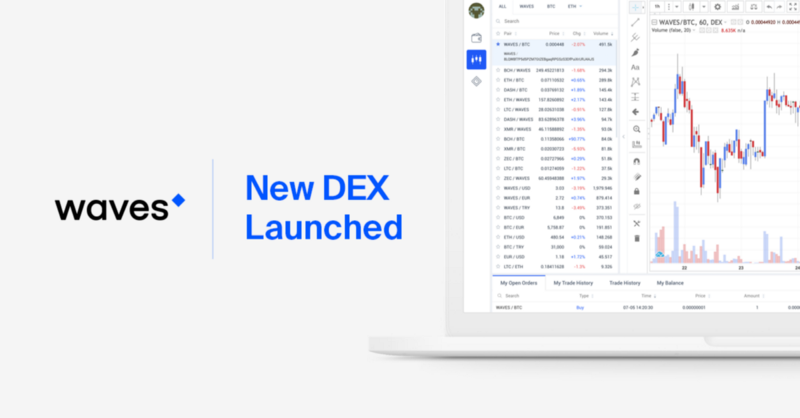 Users can check FAQ and give feedback on the new DEX. WAVES released an updated version of the Waves Client! Now you can burn all the tokens on your account except WAVES. This allows users who received spam tokens to remove them from their portfolios permanently. 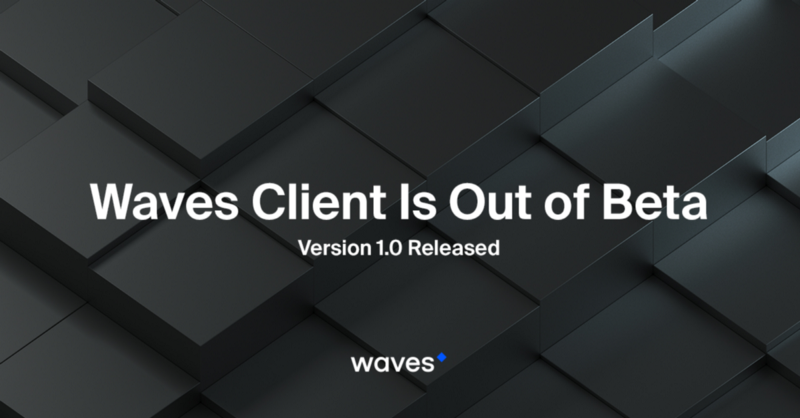 It happened: after 53 beta releases, the long-awaited major release of the Waves Client is finally here! The Waves flagship product has been thoroughly tested by the Waves developers team for the past six months, and is now ready to offer its outstanding functionality and security to the world. Let’s start with the summary of what the Waves team has achieved, while developing the Waves Client. Check out the impressive numbers below! What else is so cool about the Waves Client? You just forget about complicated blockchain tools, since the Client lets you store, send, exchange and issue tokens easily, swiftly and securely, no technical background required. This makes the Waves Client the only multi-purpose blockchain tool tailored to needs of any user, whether crypto newbies or professionals. Let’s take a closer look at what the Waves Client has to offer. You already know about such great features like Token Launcher, with which you can issue your own token literally in less than 60 seconds and trade it on the built-in exchange right away, and super-handy Waves Wallet, with multiple gateways and unlimited withdrawals on crypto. The major release also offers an asset manager, which allows searching and pinning/unpinning tokens on the main page. And did we mention that the Waves Client now has the night mode — an awesome feature for 24/7 traders? All of this is pretty cool, but the main act of the major release is, of course, the almighty DEX. 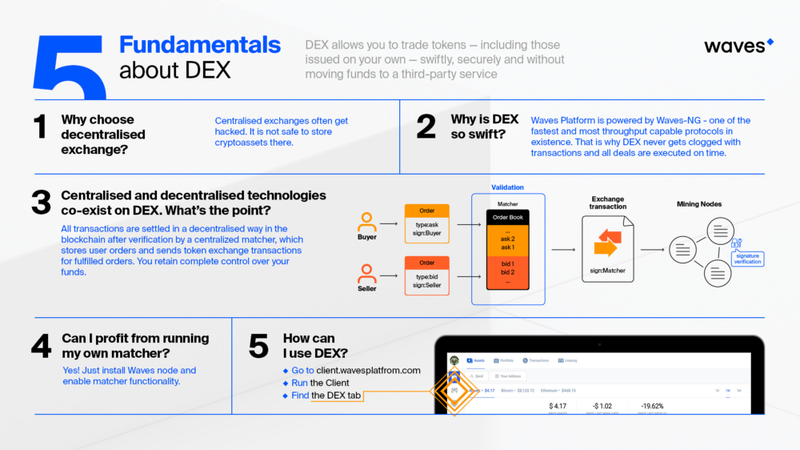 The infographics says it all — Waves DEX is the most cutting-edge, fast and, most importantly, secure decentralised exchanges to date. Considering the recent hacker attacks on different DEXs, the choice of trading platform is obvious. On the Waves decentralised exchange, the chances of you losing money are zero. Your orders are transferred to the Matcher over an encrypted channel and are not visible to other participants until the moment of execution. This excludes the possibility of unscrupulous traders manipulating information about an upcoming trade. Funds are kept in your wallet, not on the exchange. So what’s up with the updated DEX? 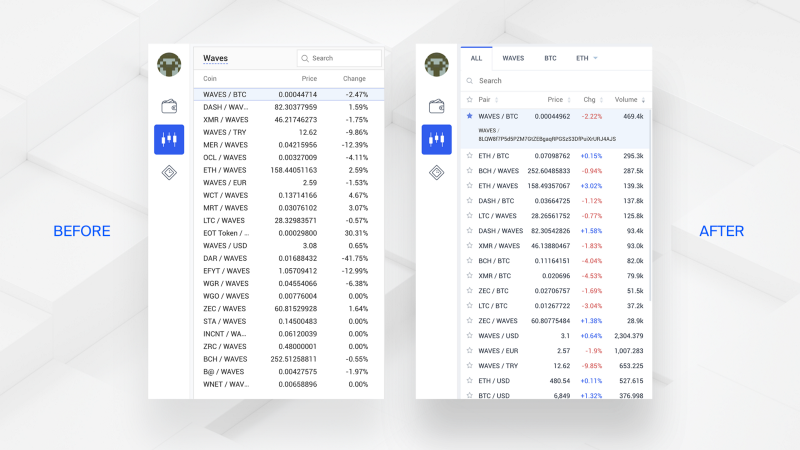 The reworked Waves DEX boasts a completely new interface, new APIs and improved stability, thanks to the custom-built data infrastructure. The recent updates, together with high liquidity (>$7,000,000 average 24h volume) and low fees (<$0.01 or 0.003 WAVES per order), brings the Waves DEX into line with the user experiences of the most popular crypto exchanges, and in fact offers even more sophisticated functionality than some of the top trading platforms. 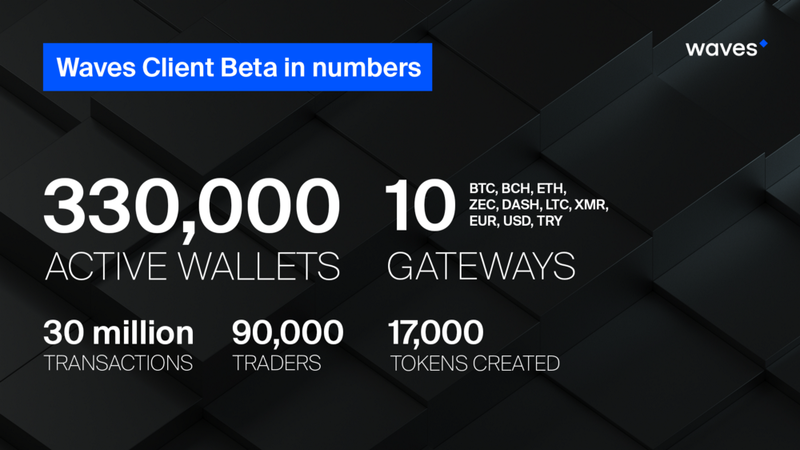 Waves Client Beta was first released on 13 December 2017, with the launch event held in Amsterdam. Since then the Waves team has continued to build on its hard-earned success, perfecting every element of the Client including UI, stability, speed and ease of use. In the near future, we are planning to integrate the Waves Client with hardware wallets and to implement 2fa authentication after the release of smart accounts on mainnet. We are excited to announce a partnership with Ledger. 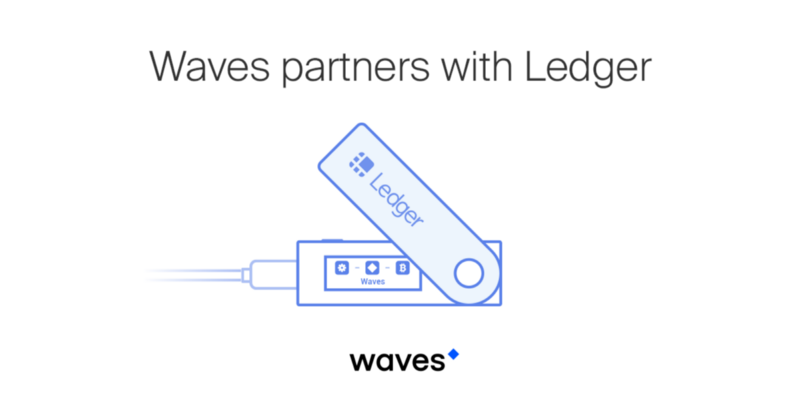 WAVES and Waves tokens are now fully integrated into the Ledger Nano S cryptocurrency hardware wallet. As you probably know, Ledger is a leader in security and infrastructure solutions for cryptocurrencies and blockchain applications. Ledger has a team of professionals developing a variety of products and services to safeguard cryptocurrency assets for individuals and companies. Now, their hardware security solution Ledger Nano S supports Waves too! This integration will bring Waves Client users a new level of security for every transaction they make. From now on, users will be able to perform any token transaction with complete confidence. Since the integration offers full compatibility with Ledger, all operations for tokens issued on the Waves platform will have Ledger support right out of the box. Furthermore, the Waves DEX (decentralised exchange) will also enjoy these benefits. DEX users can use their Ledger hardware wallets to sign transactions, ensuring the highest level of security. Waves DEX is a fast and safe way to trade the most popular cryptocurrencies, with daily liquidity exceeding $6,000,000. You can read more about the exchange here. 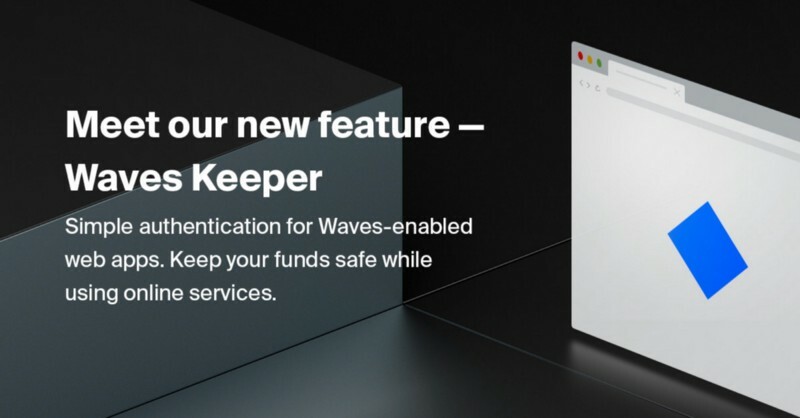 Ledger support for Waves will not only provide greater security but will increase the overall reliability of the Waves platform — reducing the possibility of hacking theft of funds almost to zero. It’s finally happened! 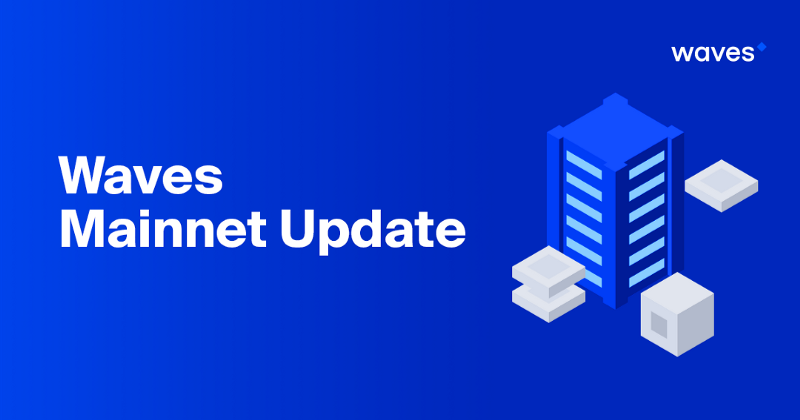 We have released a system update that will start the process of activating Smart Contracts on the Waves MainNet. We have released a new system protocol for the Waves blockchain that will enable Smart Contracts. The update initialises a process of voting for miners on the network. The successful conclusion of the voting process is required to activate the new protocol and switch on smart contracts for network users. After reaching the required 80% of votes, the protocol will be activated a week later. When activation occurs, smart contracts will become available for developers who wish to use them in their projects. What are Waves Smart Accounts? The first stage of Waves’ smart contracts launch will bring so-called Smart Accounts to the platform. In simple terms, Smart Accounts are non-Turing complete smart contracts: they allow the execution of code on the blockchain, but with deliberate limitations on functionality to avoid unwanted usage scenarios and to increase the reliability of the system. We are deliberately not going to provide users with the ability to write functions, recursions, and loops of indefinite nesting. We have explained before that we avoid constructions whose complexity cannot be predicted in advance, and that cannot be executed in a definite number of steps. That is also the reason why we have no collections or ‘for each’ constructions. Multi-signature wallets. Wallets that cannot be controlled by one person alone. In order to make a transaction, the required parties must provide their private keys simultaneously. This feature also opens the way for two-factor authentication and enables best security practices for the platform. Atomic swaps. Trustless exchange of cryptocurrencies hosted on different blockchains. An atomic swap is a direct trade between two users of different cryptocurrencies, the honesty of which is guaranteed by a single contract on both blockchains. Token freezing. Preventing buyers from selling or transferring tokens out of their address for a certain amount of time. This involves sending a token to a user, but ensuring it remains non-transferable and unspendable for a period of time. The most obvious use case for this is as a vesting mechanism or for team/contractor payments after an ICO takes place. Whitelist voting. An easy-to-implement voting process for the Waves blockchain. With this feature you’ll be able to organise any type of vote with a preconfigured list of people/accounts that are able to participate in a given poll. Data Oracles. An Oracle is an application that connects the blockchain to an external data source. It can place third-party data on the blockchain as a series of transactions, but cannot change this data once uploaded. A smart contract can then make payments to other accounts based on this data. All of this functionality is delivered via the unique new programming language used to implement Waves Smart Accounts: RIDE. The language has a new syntax, specially designed by Waves developers for this purpose. RIDE is optimised for blockchain execution and requires minimal resources for its operation. It has been narrowly specialised to simplify processes for developers and make it easier than ever to create applications on the blockchain. Moreover, Waves’ Smart Accounts do not require any ‘Gas’ for their operation, unlike Ethereum’s smart contracts. There will of course be a fee, but this is minimal for the network and completely predictable — like a standard transaction fee (Waves’ current network transaction fee is 0.001 WAVES). Users can set up their accounts securely and know that they will not have to pay substantial or unknown transaction fees. This will be possible due to the statically-predictable execution time. Since Waves has been built on top of an account-based model like Ethereum or Nxt (instead of Bitcoin’s input/output system), we can set security scripts on entire accounts. A full description of Smart Accounts functionality can be found in the white paper. ‘This release paves the way for the widespread adoption of the Waves blockchain, while preserving the original spirit of Waves: simplicity and accessibility. It enables developers to build blockchain-based applications, which is a huge step towards truly mass adoption of the technology,’ explains Ilya Smagin, Head of Development for Waves smart contracts. 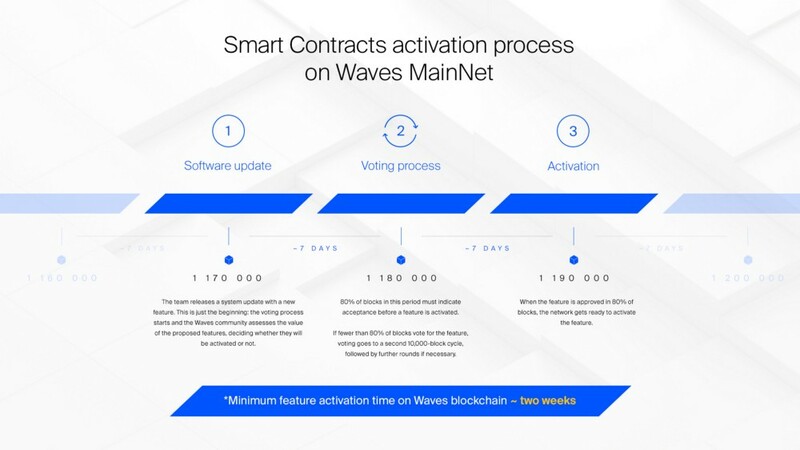 After the first stage, the Waves team will continue investigating possible scenarios for Smart Account usage and begin implementation of the second phase: Turing-complete smart contracts that will bring a far wider range of features to the Waves ecosystem. Smart Accounts are implemented as Feature 4 -- please vote! This is a mandatory release. Miners have to upgrate their nodes before the activation of the Smart Accounts feature. Waves Promotes Crypto Ecosystem On ‘Blockchain Island’. We are very excited to announce that our CEO Sasha Ivanov has started negotiations with the Maltese government, concerning Waves’ accreditation to work within the territory of the state. Waves CEO, Sasha Ivanov, met with Hon. Dr Joseph Muscat, Prime Minister of Malta, and representatives of the Maltese government, to discuss potential scenarios for the use of the Waves platform in the state’s government and corporate sectors. Waves attended a meeting with government representatives and other interested parties on the island to discuss technological cooperation in the fields of healthcare, land registry, voting and other areas, as well as proposals to use Waves as a platform for tokenised financial instruments. The meeting was attended by Dr. Joseph Muscat, Prime Minister of Malta; Hon. Silvio Schembri, Junior Minister for Financial Services, Digital Economy and Innovation from the Maltese side; and Sasha Ivanov with Artem Tolkachev, Member of the Board of Tokenisation Standards Association, from the Waves side. Separate meetings were held with Stephen McCarthy, CEO of Malta Digital Innovation Authority, as well as representatives of the Malta Financial Services Authority. These first steps were encouraging and discussions will continue. The most positive outcome of the process would ultimately be accreditation for the company to work within the territory of the state. ‘We are interested in this accreditation and are ready to start working with Malta’s legal experts to bring our ready-to-use blockchain solutions here: Waves for the financial sector and Vostok for the government and corporate sectors,’ said Sasha Ivanov, Waves Founder and CEO. We are likewise looking forward to working with regulators and businesses in Malta to pioneer and spread the use of the Waves platform and blockchain technology across many different sectors and use cases, throughout this crypto-friendly state’s economy! Your account information is encrypted and stored locally on your computer. It will never be accessed outside the extension and cannot be stolen. You can also add multiple wallets and switch between them easily. If you ever forget the password to your account, you’ll be able to restore it with your SEED phrase, just like the regular Client. 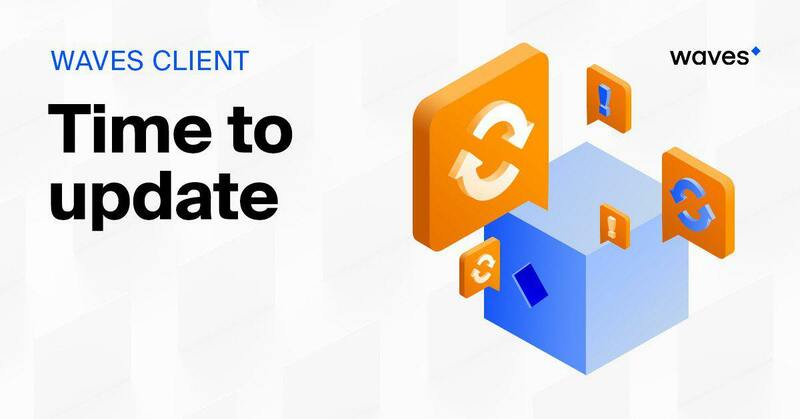 The extension will be particularly useful to developers who want to embed Waves functionality in their projects, because it supports the Auth and Payment APIs. For testing purposes you can switch between using it on MainNet and TestNet. This is the first version of the browser extension, which currently works only in Google Chrome. In forthcoming releases we are planning to extend its functionality and develop a cross-browser solution, available for all popular browsers. 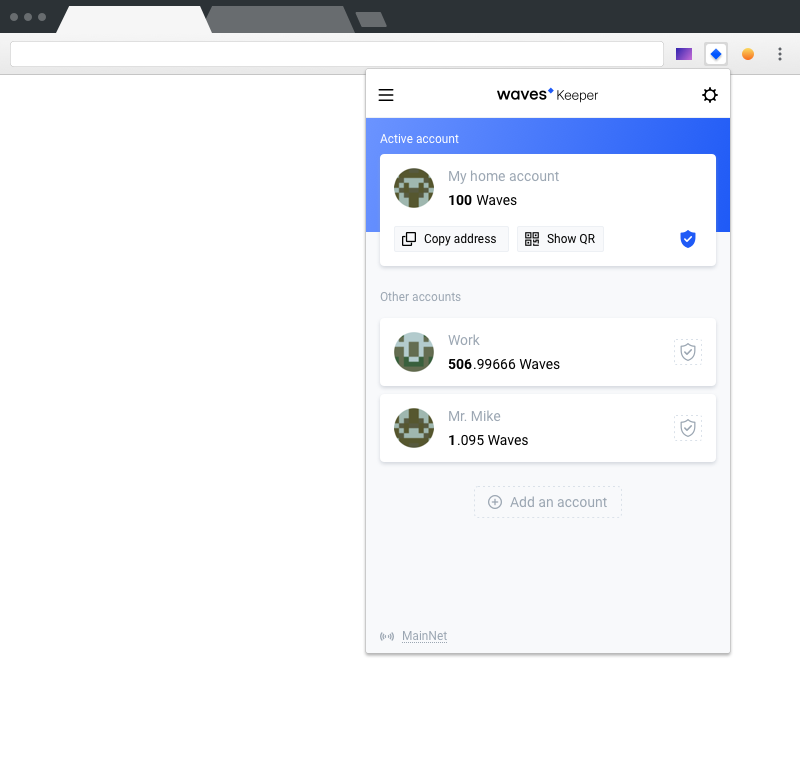 We will soon add Waves Keeper to the Chrome Web Store, making it available to everyone. For now, this product is available only to the Waves community. We have started a new thread on our forum, where you can find the extension for testing. Please feel free to join in the discussion and share your opinions. These are vital to us as we hone our software, and we very much appreciate early adopters who can provide us with valuable feedback. It’s hotting up here as we launch a new project aimed at promoting our ground-breaking tech to the $100 billion gaming industry. The crypto world has long recognised that blockchain has much to offer the massive and fast-growing gaming industry. What is remarkable, blockchain perfectly fits with current gameplay mechanics — players are familiar with coins and understand the value of digital items. In-game economies can benefit enormously from tokenization and the opportunities that arise from creating unique digital items that can be traded on a transparent and secure peer-to-peer market. This will help to get rid of the black market, which is estimated at $60 million and provides many problems with accounts hacking and deceived users. Tokenization should contribute to further development of new mechanics for the gameplay, erasing the edge between digital and physical objects, because each item becomes unique and its history can be traced from the moment of creation. These are exactly the tools and innovations the Waves team will deliver by providing convenient tools for developers to integrate blockchain into their games — quickly, easily and with an outstanding UX. Waves Platform enters the huge and thriving global market of gaming companies, developers and gamers themselves with a major campaign. 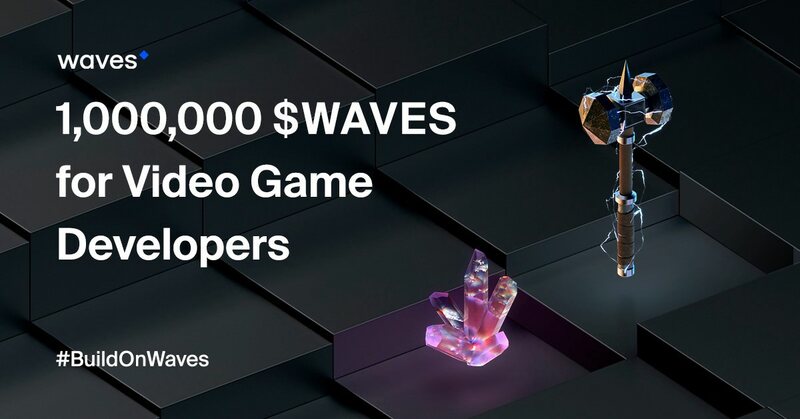 A total fund of one million WAVES will be offered to motivate developers to build their games on the Waves blockchain. ‘This initiative was launched to showcase the versatility of Waves technology and stimulate its adoption in such an important industry as gaming. I believe that the gaming sector will be an enthusiastic adopter of blockchain, and will drive its widespread use. Given the mutual opportunity here, we are more than ready to reward developers for the effort they make in implementing their projects within Waves ecosystem,’ explains Sasha Ivanov, Waves Founder and CEO. We have recently released smart contracts, and our development team is working on creation of non-fungible tokens — a critical element for the growing number of blockchain games that incorporate an in-game economy. Game development teams with existing blockchain-based games who want to transfer their products to the Waves platform. Experienced game development teams with projects in progress, who are considering integrating Waves blockchain functionality into their games. Qualified development teams with game prototypes, who would like to explore integrating Waves blockchain into their products. Ultimately, our focus is on developing the key tools that blockchain need to integrate tokens and blockchain tech into their games and enable them to push the boundaries of what’s currently possible in their games. Waves is the only blockchain where a token is NOT a smart contract, but an ASSET that can be created in a minute without any coding. Unique, trackable tokens that can be transferred and traded offer a new kind of prestige and opportunities — just like a physical trophy awarded for winning a gaming tournament! We’re creating an SDK to make blockchain integration easier than ever, enabling developers to plug token operations straight into their games. Waves’ decentralised exchange (DEX) offers a perfect template for your own marketplace. Rebrand it, assign your own rules to customise your built-in exchange and monetise your items however you want! Some games require players to sign a large number of transactions. To make this process smoother we introduce safe one-click approval tools, both on mobile and browser. The Waves team will be helping developers by providing extensive advice and assistance for embedding Waves functionality into their games. Comprehensive support will be given, including help with technical integration and all the necessary documentation. That’s to say nothing of the millions of dollars of total backing the best projects will receive in crypto to make their ideas a reality! We have introduced the gaming project on the Crypto Games Conference in Minsk, October 17–18. During the conference our blockchain engineer, Yuriy Naydenov has presented the project and conducted a contest for game developers — to make a simple game with included Waves functionality in it, and we got three winners that took their rewards: 750, 500, 250 $WAVES. Testers Needed for Waves Mobile App Beta! We are very pleased to announce that our Mobile App is almost ready for launch — but we need your help to perfect it. Waves is proud of its track record of delivering great software, and here we go again! This time we are releasing a global update to our app for iOS and Android, and it’s almost ready to launch — almost. But before the new mobile app becomes your favourite way to interact with the awesome functionality of Waves, we need you to help us test and refine it, making sure it’s as robust and user friendly as it possibly can be. This is a closed test, meaning that we’re are going to select a number of the best testers who apply. This is important because we need people who have at least some experience in testing/QA. If that’s you, please apply! We will open registration for applications on 1 November. The deadline for submitting your application will be 11 November at 00:00 (UTC). On 12 November all selected testers will gain access to our app. The test will last for 2 weeks, ending on 26 November. The actual reason why permissioned chains make sense is not the ability to put simple data onto them, I don’t really think that you gain any significant advantage doing so. In enterprise environment blockchains are often perceived as just another type of database technology, using which you can put any data in the database and it just stays there forever no matter what (it is called immutability). You can’t really guarantee that just yet for open blockchains, so we came up with permissioned blockchains, which is, as a matter of fact, an oxymoron, since you don’t really need blockchain tech in a situation when there’s an administrator that can add to and delete participants from the network at will. So why permissioned blockchain makes sense after all? They are usually considered within the framework of business/enterprise environment, where they help facilitate a certain business logic in a more decentralized way. It’s not exactly about putting some data in some fancy database, it’s more about implementing the very logic of your business in a way less prone to corruption providing an enhanced transparency level. So it’s more about what people call smart contracts, and this name starts to make sense in enterprise environment, which is not the case in open chains set-up, where we could probably call them blockchain scripting or something. You can’t bring a new level of transparency and flexibility by just writing your static data in a collection of replicated databases, be it even hashes, root hashes, or any other beautiful cryptographic structures. You do bring new things to the table by bringing transactional business logic of your applications into this new, maybe just to a certain degree, but still decentralized environment. An example would be useful now. Imagine you have a big IoT system, for example a transportation company running several hundred trucks with independent drivers. There are sensors in each truck transmitting various parameters about the condition of different vehicle systems and truck location. The data is used to monitor the condition of the truck company’s fleet, predict the equipment failure and pay drivers for the goods delivery. We’ll definitely see now some attempts to write data like that in the blockchain, actually just because we can, because it’s hard to say what sense it can make. There might be a tiny bit of sense if you consider a case where the data is being tampered with post factum, that is some bad guy tries to make believe that a given truck is in better conditions that it actually is. That can happen, sure, but I do not think it is so widespread that we need a whole DLT machinery to handle it. On the other hand, if we consider the business logic that we can implement on the blockchain in which we make some automated decisions based on the data we receive, it starts to make sense. 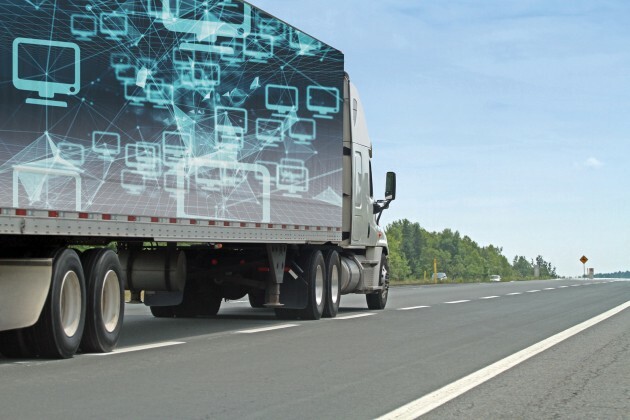 For example, a driver is paid more if he takes a more efficient route and his truck is in a better overall condition.The data received is being fed to a smart contract, and a driver is credited a certain amount of tokens fully automatically, and the money once earned can’t be taken from him. If a driver tries to tamper with the data transmitted by the sensors he can be exposed by analyzing it against the big data collected during the operation of the company and he can be immediately suspended as a result. We can see that by decentralizing not the data storage but the very business logic we do get a totally new picture where things work quite differently than before. Only by decentralizing processes we make tangible progress in the architecture of our system. The real power of the upcoming permissioned blockchain platforms is the new way to conduct business. Those platforms will provide a new infrastructure, which is desperately needed for the next wave of technological revolution. They will allow to automate in an incorruptible way the essential business processes, making them to a certain extent objective, that is independent from intrusion of potentially malicious parties. Business logic implemented in a decentralized way make the business itself more decentralized, which means more transparency, fewer middle men, and more profits as a result. It is true that systems like that actually could have come to light even before Bitcoin and blockchain tech; but the real power of blockchain technology for now is not the technology itself, but the message behind it. It has proved that we’re able to create decentralized systems, and they can be potentially a real game changer. Let’s stop thinking about using blockchains as a database for dumping hashes, let’s start implementing the logic of our real world applications on them, and this will be the beginning of WEB 3.0.